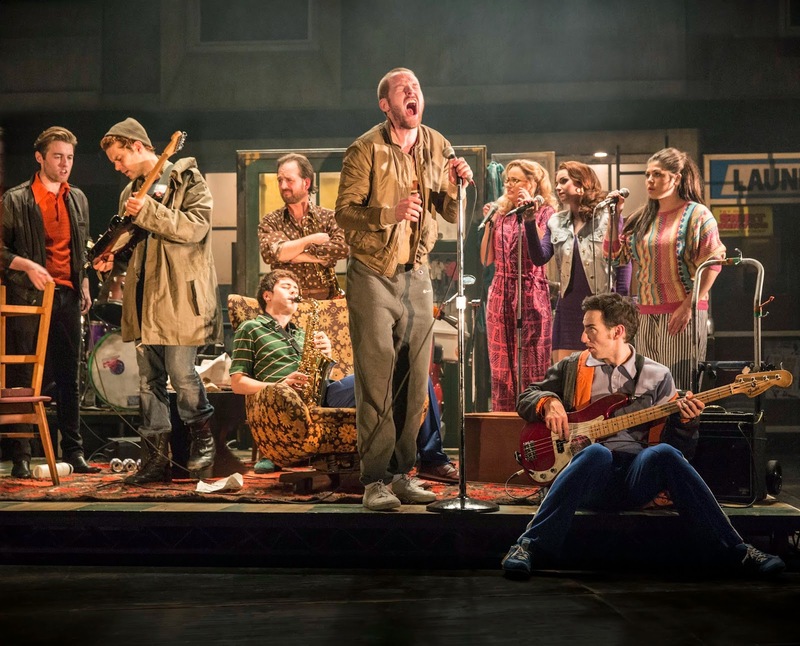 The Commitments is a feel good show with great songs. You don't have to be a fan of the great soul classics, the film, or the book that inspired it all. You don't even have to like musicals that much. The songs relate to the music from the band rather than characters bursting into song. It is a show that is determined to give you a good time. And of course there is the obligatory finale that has everyone dancing in the aisles. It is a fairly simple story set in 1980s Dublin. Two guys from a synth band who turn to their old classmate Jimmy for help. He agrees to help them if he can make the band the way he wants it. Jimmy is an expert on soul music - which he calls music for the working class - and places a classified advert in the local paper in search of band members. After auditioning hundreds of potential members, Jimmy settles on his new lineup which he calls "The Commitments". The band mostly spends getting to know each other and their instruments, which is a source of many of the laughs from the show. But as they slowly improve and start to get a name for themselves, jealousies and rivalries lead to the band's disintegration. The show is set against the backdrop of unemployment and misery that made up 1980s Ireland. The economy that would become the Celtic Tiger had yet to appear. And disappear. Urban blight and misery are at the forefront here. The production emphasises the grimness with its claustrophobic spaces and its enormous council housing block set. Humour and music were ways to deal with it all and there is a likability to all the characters. The cast are all young, good looking and talented. Standing out amongst them is Killian Donnelly playing the arrogant but gifted lead singer of The Commitments, Deco. It is a performance that makes it hard to dislike him as his tenor voice cuts through the raw sound of the soul band assembled on stage. The genius of the story is how the band falls apart just as they learn to work together, delivering a brilliant interpretation of "Papa was a rolling stone" before jealousy and rivalry get the better of everyone and fights break out. As a fan of the movie when it came out over twenty years ago, the story seemed destined for a transfer to the stage. The production reimagines the piece well and is reminiscent of the treatment given to the Beatles story Backbeat, which also managed to be a play with music and send people out on the streets dancing. And even though the choice of music is less inspired here than in the film, it is a shame there seems to be no soundtrack available yet for the show. There is a terrific sound they are making up there on stage and everyone looks like they are working bloody hard to do it. Until there is, the original film and the soundtracks from it are still available everywhere. The Commitments plays from Tuesday to Sunday at 7.30pm, Saturdays at 3.00pm and Sundays at 2.30pm at the Palace Theatre. The part of Deco is played by Ian McIntosh on the Tuesday and Sunday evening performances.